Magnificent And Exciting Vintage Ecuadorian Olga Fisch Formas rug, Country of Origin / Rug Type: Ecuador, Circa Date: Mid- 20th Century This vintage Ecuadorian rug is the creation of the iconic artist Olga Fisch. 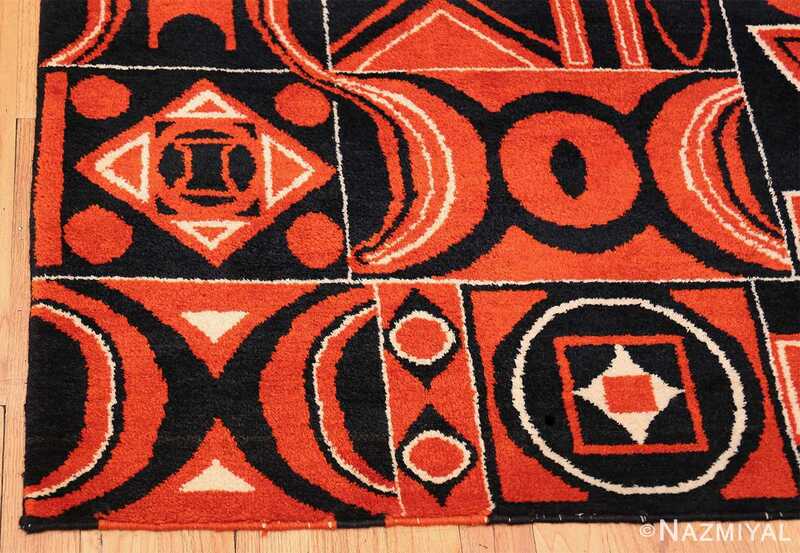 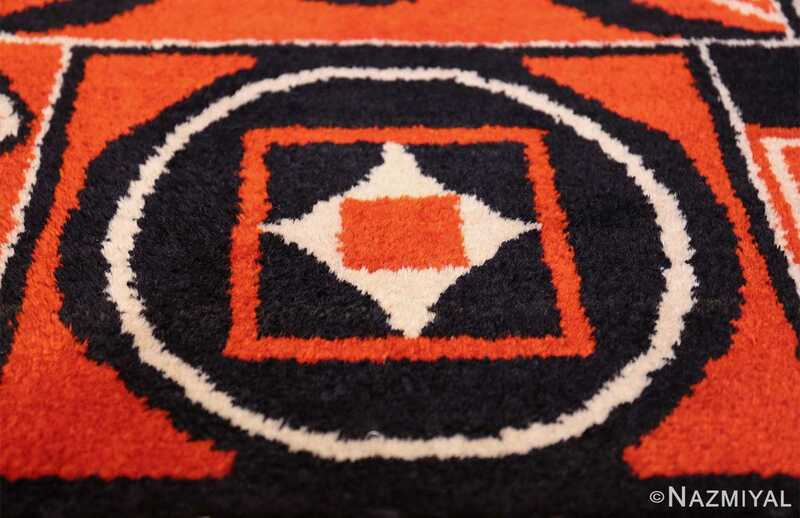 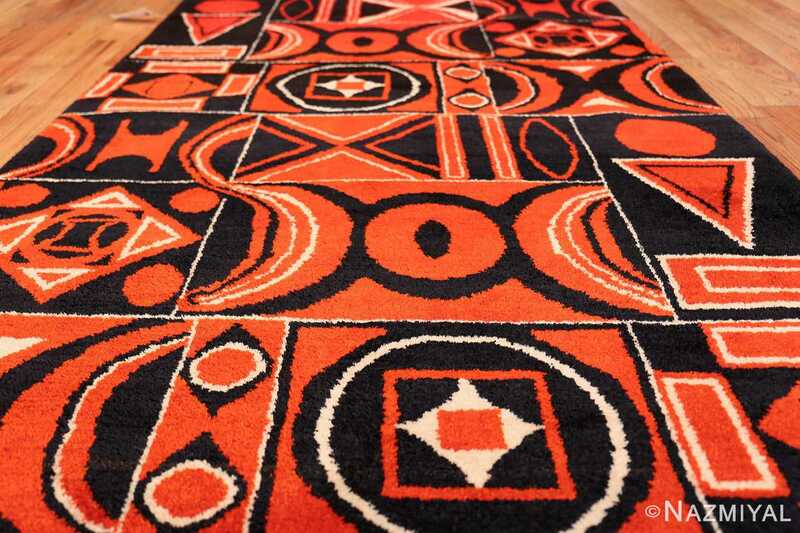 This beautiful and dramatic vintage mid century modern rug features a variety of bold detailed geometric shapes depicted in a solid black, white and red colors. Within the solid black designs, subtle white accents are woven in between in small bursts of accents. 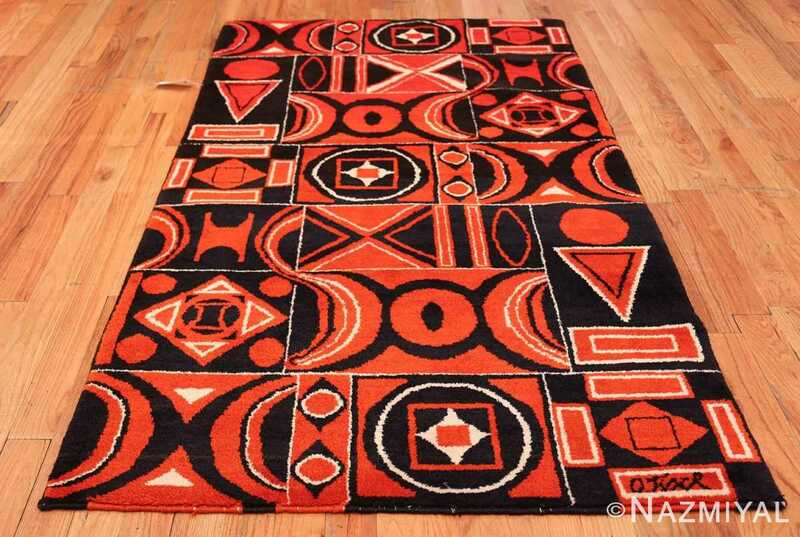 The geometric designs feature a variety of rug design patterns encased within various rectangles and squares. 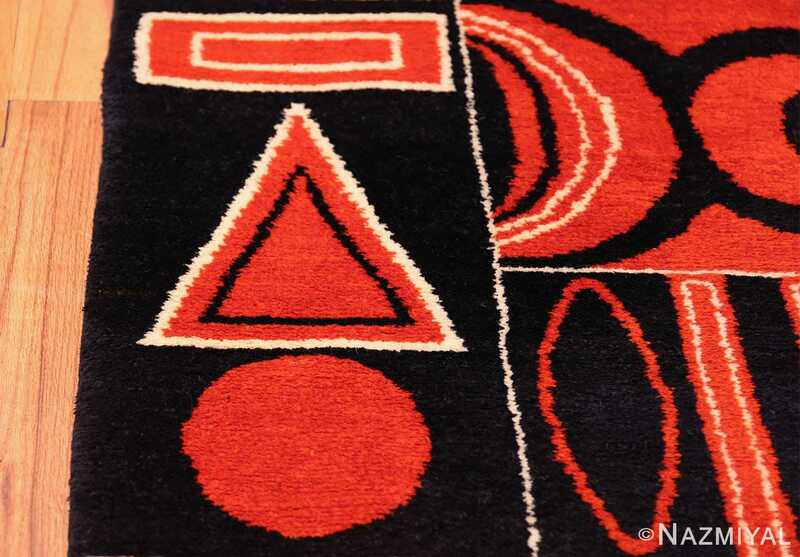 Throughout the geometric designs, sharp angles create a drastic contrast to the round edges of the circles within. 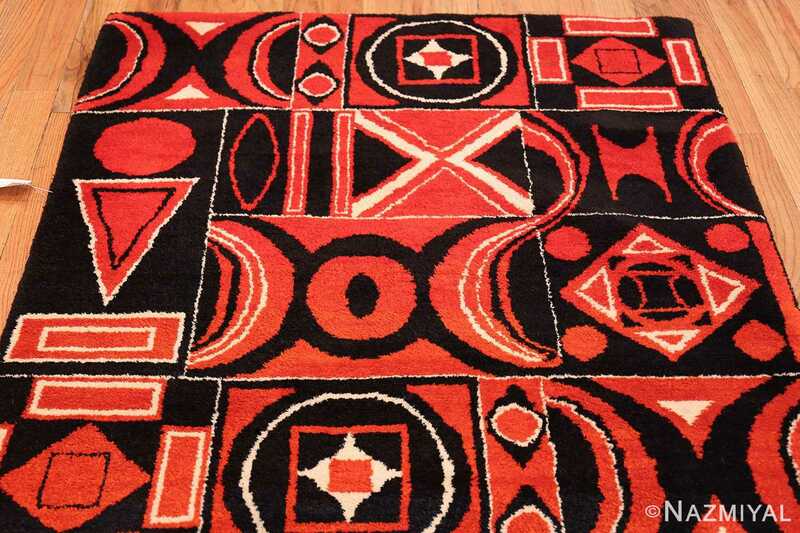 This eclectic designs of this amazing vintage Ecuadorian Olga Fisch Formas rug, come together to form a flowing and interesting design that keeps the eye moving from one point to the next in succession. Throughout the separation of the various squares and rectangles are subtle white lines.While these lines are obvious, they add depth and interest to this mid century vintage rug. 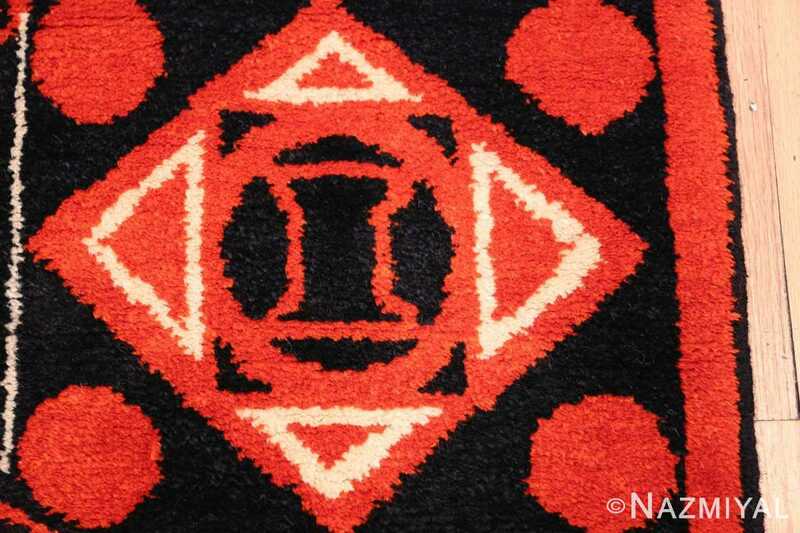 Because of this separation, the designs are able to remain independent while still flowing together as a whole piece within one. 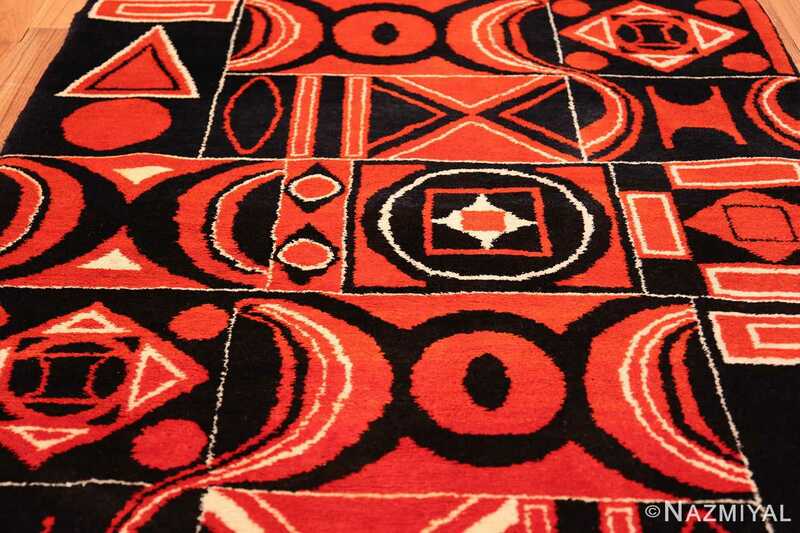 These tribal and primitive patterns offer a bold artistic statement that is sure to attract attention and wonder. 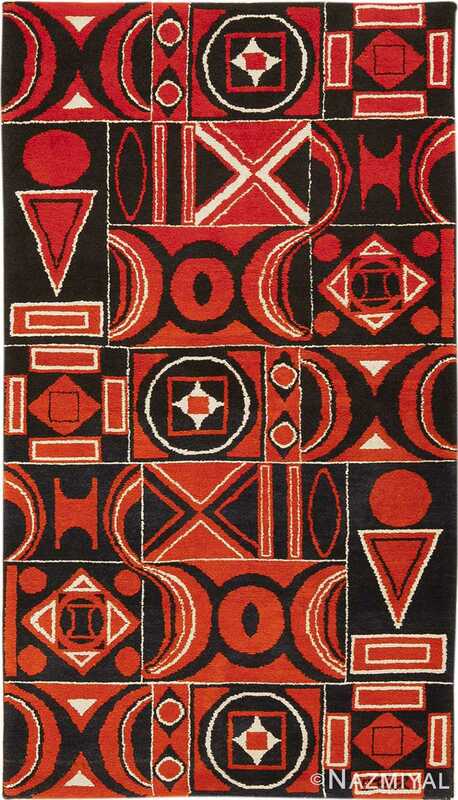 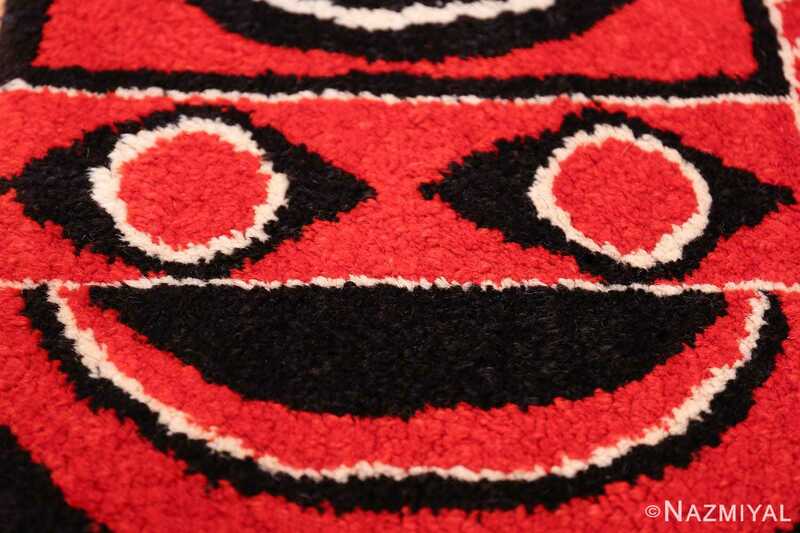 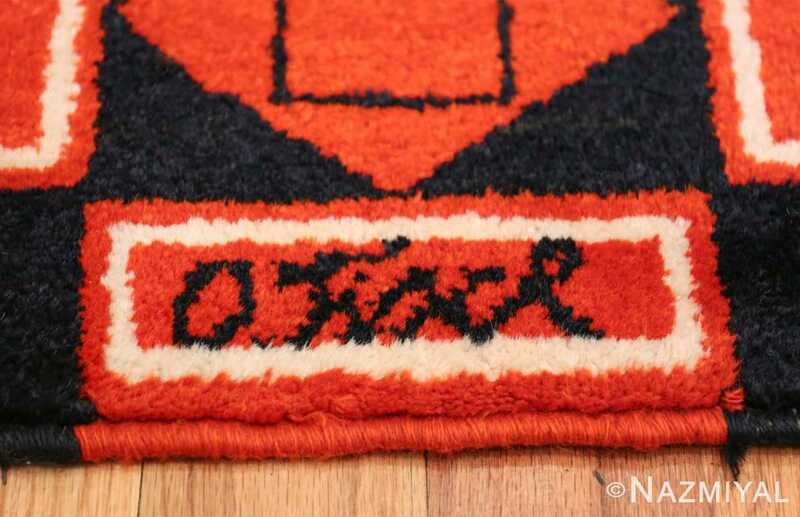 Art rugs such as this specific “Formas rug” example are quite rare. 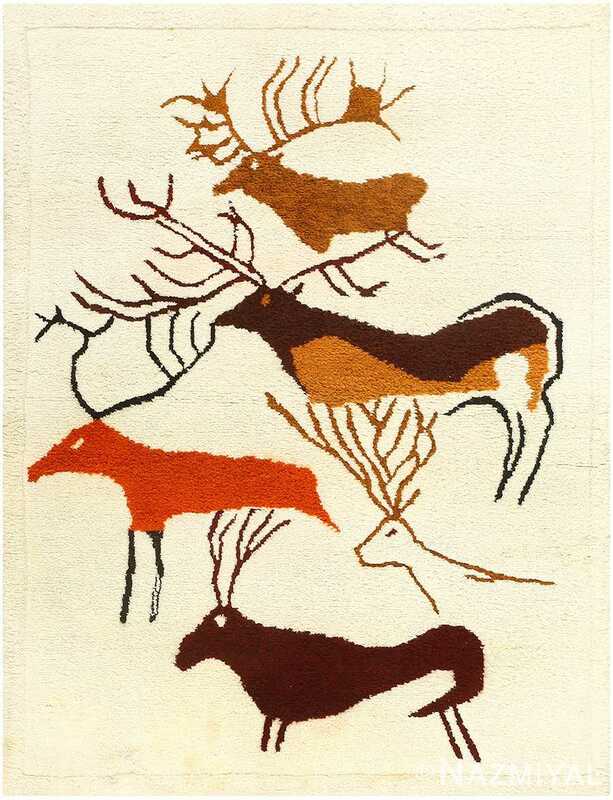 They are the kinds of examples that bridge the gaps between functional and artistic as they can easily be used as decorative area rugs or as magnificent wall hanging artistic Tapestry rugs. 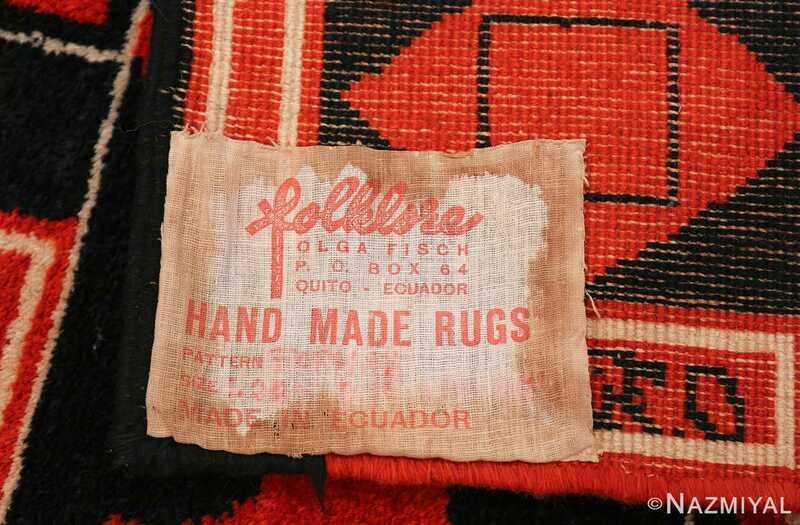 It almost goes without saying that this mid 20th century vintage Ecuadorian Olga Fisch Formas rug, is a breathtaking and exciting textile art piece. It will instantly transform it surroundings and bestow a feeling of tribal wonderment to all who see it. 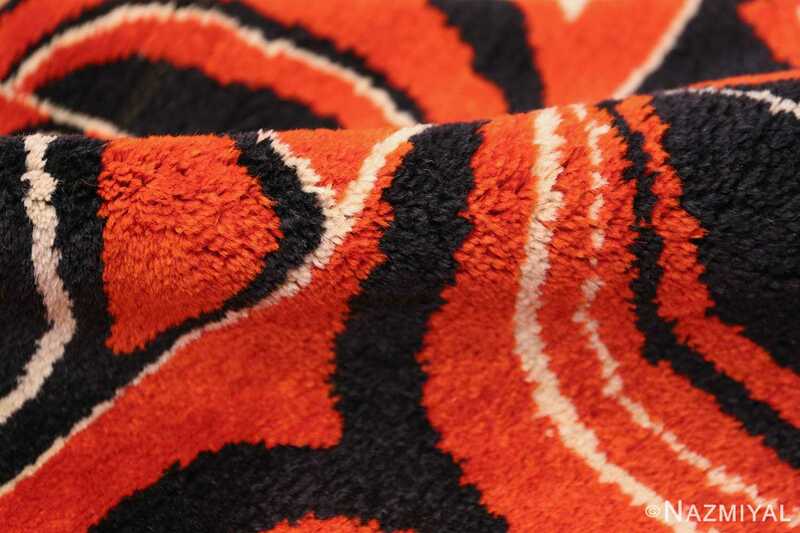 It is sure to leave a strong artistic impact with in any funky interior designed room or home.